From email marketing tips to new tech, start-ups to CRM software, the web has placed a world of business information at your fingertips. Expert advice, best practices, pro tips and innovative ideas from across a range of industries are just a click away. But with so many choices, the sheer volume of business blogs can seem overwhelming. Factor in that small business owners simply don’t have much (or any) extra time on their hands. Leisurely perusing the internet to find the latest and greatest blogs? That’s a luxury most small business owners simply can’t afford. Luckily, others have done the legwork for you. We’ve scoured cyberspace and curated a list of follow-worthy blogs that consistently offer value, innovation, and inspiration. Here are the top 11 small business blogs that will give you the best ROI of your time. Get the big picture from Business Insider. This wide-ranging blog covers the latest in finance, tech, strategy, politics, market analysis and more, with lifestyle articles thrown in for your enjoyment (and so your marketing team can track trends.) For deeper dives, check out a BI Prime subscription to get longer-form articles delivered to your inbox. 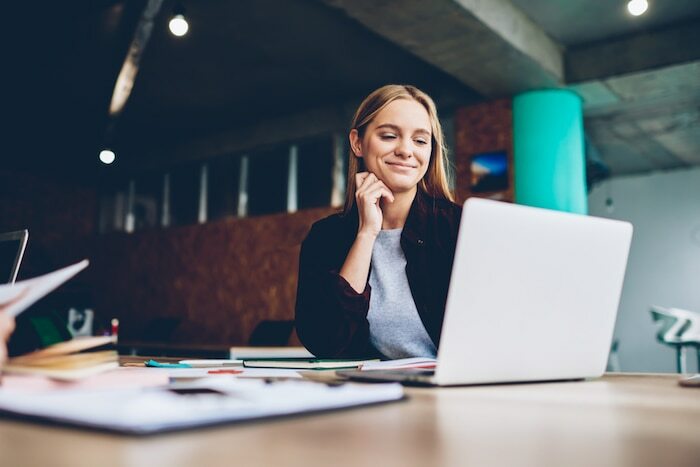 No list of business-friendly blogs would be complete without a shout-out to the U.S. Small Business Administration’s blog. Packed with resources for small businesses of all stripes, this blog offers business news and expert advice. More importantly, the SBA provides invaluable guides covering business stages like launch, management, and growth. Here you’ll find funding and grant opportunities, information about regulatory updates, tips on how to find local assistance and a wide range of free educational resources in the learning center. Learn from those who’ve gone before — and succeeded — on the Forbes Entrepreneurs blog. Profiles of business owners who’ve taken their innovative ideas and turned them into reality make up the standard fare. You’ll also find the latest industry news, best practices, advice from the pros, and success stories to motivate you in your own journey. Curious about the latest tech advances that promise to make your life easier? Give TechCrunch a follow. Here, you’ll find new digital technologies, breaking business news, and gadgets and gizmos galore. Start-ups and entrepreneurs will especially appreciate this blog, with its focus on emerging tech and apps that have potential to boost your business. For many small business owners, finding the time and resources to effectively market their business is a constant struggle. In fact, a recent survey of small business owners indicates that marketing and advertising rank second on a list of top challenges — only beaten by lack of capital. Luckily, the Duct Tape Marketing blog can help. From keyword research to content creation and more, this helpful blog covers the marketing angle and offers actionable advice you can put into practice. The name of this blog says it all. SCORE, a nonprofit organization funded in part by the U.S. Small Business Administration, is dedicated to helping small businesses succeed. Follow their blog to find practical articles related to small business creation, management, expansion and more. A network of more than 10,000 contributors and mentors from across industries provide ever-changing, relevant content. Bonus: The blog is organized so you can filter by business stage, industry, topic, entrepreneur type and more, making it simple to drill down and find the info you need. NOLO’s been publishing legal guides for small businesses for decades, so it’s no surprise that their blog deserves a follow. NOLO’s Small Business Law blog answers the common questions that arise when running a small business. If you’ve ever wondered how to structure contracts or start an LLC, this blog spells out subject matter in easy-to-read language that’s (thankfully) free of legal jargon. But the NOLO blog has more value to offer; you’ll also find articles on topics like sales, marketing and more. If you’ve got tax questions (and who doesn’t, these days) turn to the experts at TaxBuzz. With a collection of articles written by experts — CPAs, accountants and tax law specialists — this is a great place to begin your search for solutions to your most, er, taxing queries. With categories covering planning, updates, reform, healthcare, solopreneurs, city guides and more, TaxBuzz should be your go-to for basic business-related tax questions. If you enjoy a well-written blog post with quirky humor baked in, head over to Seth’s Blog. The brainchild of author, entrepreneur and marketing whiz Seth Godin, this blog offers an outside-the-box approach to business. With his eminently relatable writing style, Godin offers real-life anecdotes and a unique perspective to help spark your own creative problem-solving ability. As the leading business software marketplace, G2’s blog provides unique insights on every aspect of running a small business. With data on hundreds of thousands of products and over a million visitors every month, the Learning Hub is a valuable resource on topics ranging from the best tools for sales professionals to how to use social media. Of course, we would be remiss if we didn’t include our own blog on this list. If you’re looking for insights into the latest industry trends, expertise on customizable software, or tips on how your organization can better serve and interact with clients, you’ve come to the right place. Packed with information for companies in all industries, our blog covers a diverse range of topics, from how to stay organized as a small business owner to why you should stop using Excel as a CRM. In an ideal world, small business owners would have unlimited time to browse the myriad of business blogs floating around in cyberspace. In reality, your time is precious — but it still pays to set aside a few minutes each day to read posts from blogs that offer the information and updates you need. Think of it as an ongoing investment in your business’s success. 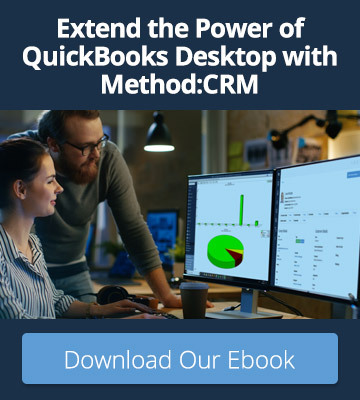 Grow your business with the most customizable CRM for QuickBooks. 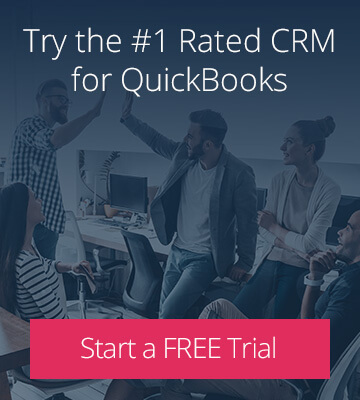 Sign up for a free 30-day trial of Method:CRM. No credit card, no contract.